Local farms are an essential part of healthy local economies. They protect farmland from development, they take care of the environment by responsibly growing on their land, they build a rural lifestyle for farm families and their employees, they preserve local food production, and often build a community around their farm. However, it’s not a glamorous lifestyle. It’s hard being a local farmer. There are crops to grow, irrigation to run, hail storms to worry about, bills to pay, payroll, equipment to fix, and on and on. It’s a complex small business. Local farming is demanding work that has benefits we can all agree on. How can we as consumers support farmers in this work? Buy directly from your local farmer. Do you know your farmer’s name? Then you are buying from your local farmer. Have you visited your farmer and have you seen where the crops you are eating are grown? Then you are buying from your local farmer. There is certainly a government policy aspect to supporting local farms and I respect the political work that many organizations do on behalf of farms. However, what I see lacking for many of the farms I work with are the sales to justify the investments that need to be made on the farm to compete in the competitive local food marketplace. The tractors that need to be bought, the post-harvest handling facility that needs to be built, the multitude of systems that need to developed on the farm, let alone the marketing expertise that is needed; all of this is expensive! In a democracy, you get to vote once or twice a year, however with your food choices, you are voting three times a day. 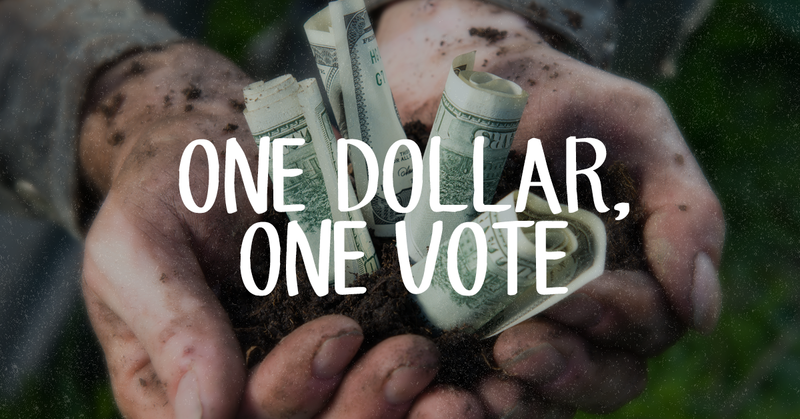 One dollar, one vote. Vote for local farms. Buy farm direct. It’s up to us in the local farm community to develop better ways for you to access quality local food. We need to make sure that this food is convenient, cost-effective, and high quality. That’s why Harvie exists. However, at a certain point, we all need to pull out our wallets and vote for local food production if we want these farms to thrive.